When I wrote Dreamwalker, I wanted to set it in a location that emphasized the duality that the main character, Pete Holm, lives in. I’d read about Atlantic City and how the promise of casinos hadn’t created the promised city-wide rejuvenation. Atlantic Avenue divided the city, separating the glitter of the high-rise hotels from the poverty of the rundown residential areas. The location seemed perfect. I’d never been to Atlantic City, or Philadelphia, another location in the book. But MapQuest is amazing, and I used grids of the streets to flesh out my fantasy versions. Pete takes a bus, so I Googled the bus station locations and schedules just to make sure such places existed. After the second draft of the story was completed, I had a free weekend in Maryland and decided to visit these places I’d so casually created based on a few thin facts. I headed to Atlantic City, hoping I could work in some real-life observations to the story. I drove through the city and went into shock. Locations I’d created in my mind’s eye were here in real life, almost doorframe for doorframe. The restaurant Pete works in, the rundown homes, the decaying basketball court. It didn’t feel like I was exploring someplace new, it felt like I was returning to someplace familiar. In the late afternoon, I drove to Philadelphia, taking the same route my character takes when he tries to find the identity of the girlfriend in his dreams. In the city, I followed my invented route to her fictional hospice. There was no hospice, but there was a doctor’s office with an entrance that looked just as I’d imagined the hospice’s did. It gave me chills. 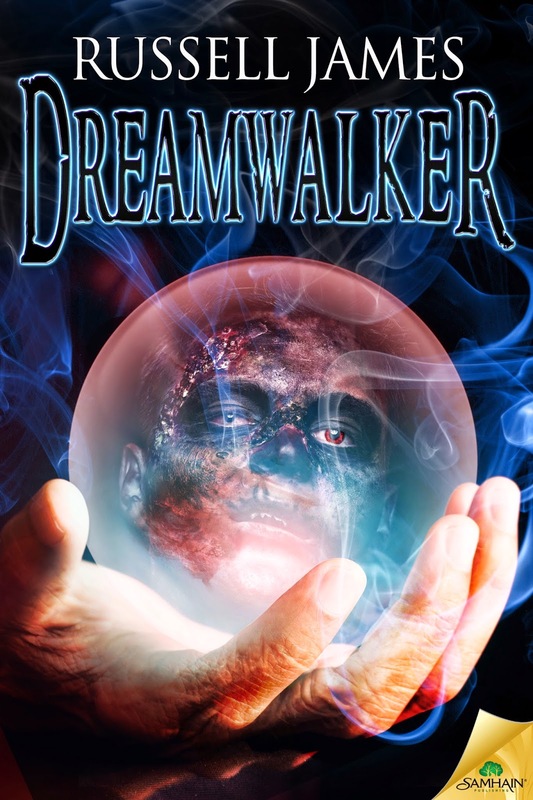 Dreamwalker is about a college student who enters an alternate reality when he dreams. Did I enter some alternate subconscious reality when I invented the locations for my book? I don’t know. If I could, it would sure make writing the next novel much easier. 1) Open reviewer giveaway: Anyone who reviews Dreamwalker on Amazon and one other site like GoodReads, etc. and sends Erin Al-Mehairi, publicist, their links to hookofabook@hotmail.com will be entered to win a $20 Amazon gift card. This contest ends on Feb. 28, 2015. 2) Rafflecoper giveaway for two copies of Russell’s previous books. Two winners will each win one of two books, Black Magic and Dark Inspiration. US only, no international shipping. Must use a valid email that you can be reached by. By entering the giveaway, you consent to allow Russell to have your email for very infrequent newsletter updates. Contest ends Feb. 28, 2015. Other contest questions can be referred to Erin Al-Mehairi, publicist, Hook of a Book Media at hookofabook@hotmail.com.